Foreigners can now own 100 per cent of internet businesses in the Philippines, as part of new changes to ownership rules. President Duterte has approved a new list of investment areas where foreign ownership is allowed — including internet businesses. The 11th Regular Foreign Investment Negative List is only slightly shorter than the previous list approved by then-president Benigno Aquino III in 2015. 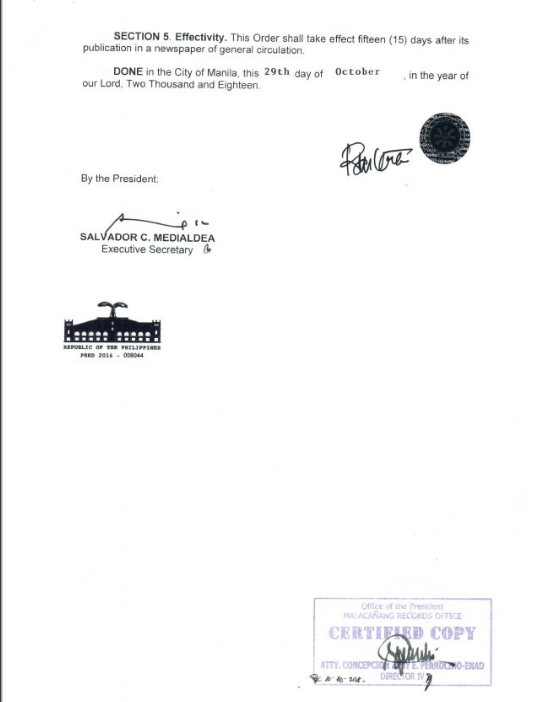 This new list is promulgated by President Duterte’s Executive Order No 65, which was signed on Monday but made public today (Wednesday, October 31). 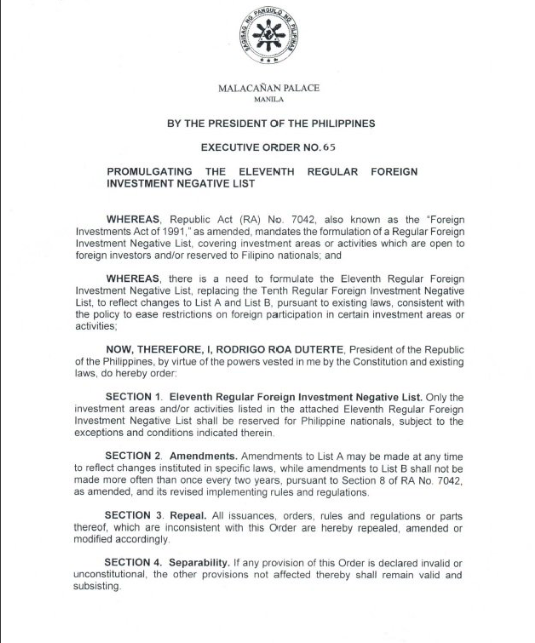 Other major changes include allowing foreigners to own up to 40 per cent of contracts for the construction and repair of locally-funded public works (except for infrastructure or development projects covered in Republic Act 7718), and projects which are foreign-funded or assisted and required to undergo international competitive bidding. Previously, foreigners could only have up to 25 per cent equity in such contracts. Foreigners can also now own up to 40 per cent of private radio communications networks, compared to only up to 20 per cent in the 2015 list. The easing of such foreign ownership restrictions comes amid plans to encourage the development of infrastructure with the help of foreign governments and firms, particularly from China. The new list reflects changes in mass media technology by exempting the “internet business” from the types of mass media enterprises where foreign ownership is banned. It also widens the list of professions which foreigners are allowed to practice in the country and allows foreigners to teach in higher education institutions (as long as the subject they are teaching is not a professional subject). Maybe you don’t have a computer or smart phone.